PHARMACY: Jurnal Farmasi Indonesia (Pharmaceutical Journal of Indonesia) is a scientific journal publishing original articles research in pharmaceutical science. These journal is registered by LIPI (Lembaga Ilmu Pengetahuan Indonesia) with the number of P-ISSN 1693-3591 and E-ISSN 2579-910X and published 2 (twice) times a year (July and Desember). The journal had been established in 2003, online publication was begun in 2009 with Open Journal System (OJS) and it’s has been indexed by various indexing system such as Google Scholar (GS), Science and Technology Index (SINTA), Crossref, Bielefeld Academic Search Engine (BASE), ROAD: the Directory of Open Access scholarly Resources, Garba Rujukan Digital (GARUDA), Indonesia One Search (IOS), WorldCat libraries, Virtual Library: Pharmacy etc. 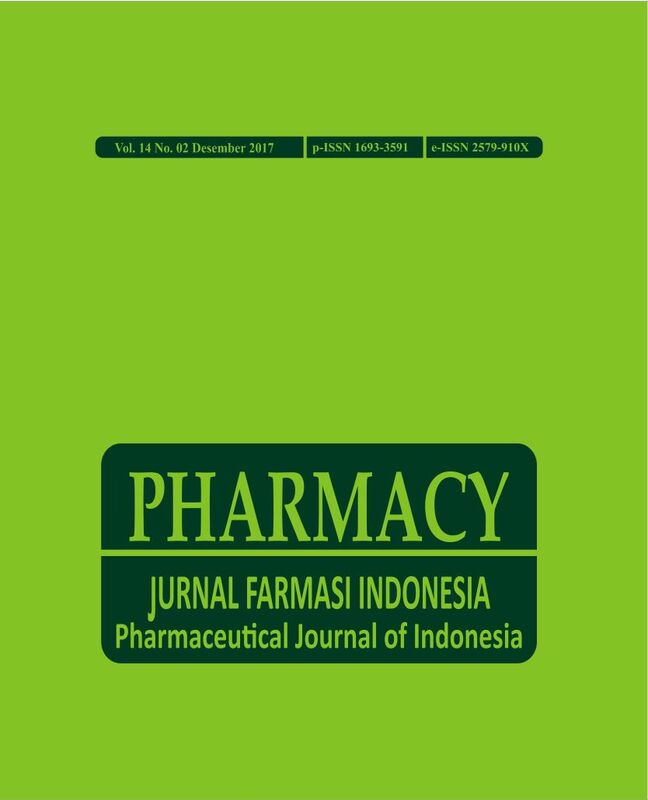 PHARMACY: Jurnal Farmasi Indonesia (Pharmaceutical Journal of Indonesia) receives manuscripts in both English and Indonesian Language (Bahasa Indonesia) with abstracts in bilingual, both Indonesian and English. We’re open for various fields such as Pharmaceutical Technology, Pharmacology and Toxicology, Pharmaceutical Chemistry, Drug Discovery, Pharmacokinetics, Pharmaceutical Biology, Herbal Medicines, Pharmaceutics, Pharmaceutical Microbiology and Biotechnology, Community and Clinical Pharmacy, and Pharmaceutical Care.